If you say the name Melania to your friends and family, what words come to their minds? Wealth, fame for sure. And perhaps recluse, devoted mother, though perhaps not devoted wife. Tell them i f they really want to read about a controversial and vexing Melania, they have two even more intense icons to choose from. Melania the Elder and her granddaughter Melania the Younger had wealth and fame to spare. Despite their ascetic commitments — even because of them — they were no recluses. As two of the richest and most influential Christians in late antiquity, they traveled the Mediterranean, building institutions (monasteries and churches), patronizing important early Christian writers, and lobbying the imperial family. True, Melania the Elder was once imprisoned, and Melania the Younger once sequestered herself in a tiny cell in her monastery. Yet these moments of confinement, while telling, were not defining. Neither locked themselves behind the gates of their estates. Instead both women were praised by late antique authors for their roles as architects of an emerging church. Such influence did not put the Melanias beyond controversy, ancient or modern. Although spiritual mothers to many of their fellow ascetics, neither dedicated their lives to the physical care of biological children. Melania the Younger’s children died young, and her grandmother famously left her son behind in Rome to pursue her ascetic career. Melania the Elder also ruffled the feathers of none other than the famous Jerome. As several contributors to this book (Luckritz Marquis, Doerfler, Krawiec, and Darling Young) show us, this conflict with Jerome helped shape definitions of heresy and orthodoxy during the Origenist controversy and most certainly affected later Christian tradition’s memory of her. Melania the Younger, her hagiographer tells us, went even so far as to interrupt and challenge Augustine, in what Susanna Drake calls a “curious case of scriptus interruptus” (171). Jumping to the twentieth century, Melania the Younger “went viral” (as the kids say) when Cardinal Rampolla published her vita in 1905. As Michael Penn recounts in the book, the story of the “richest woman in history” rebounded in the popular press. I find myself frequently returning to Elizabeth Castelli’s reading of the Melanias and “The Future of Sainthood.” Castelli reminds us that these women’s ancient virtues remain provocations for modern readers. For example, their status as slaveholders was an unquestioned part of their “birthright” in their own time, but one that disturbs the sensibilities of ours. The work of my co-authors reminds me that we often see in the Melanias what we want to see. They become ciphers for each interpreter’s own struggles with power and resistance. Did Melania the Elder abandon her maternal duty or embrace a higher calling? Was the patronage of Evagrius a dangerous slide into heresy or a courageous display of intellectual and political strength? 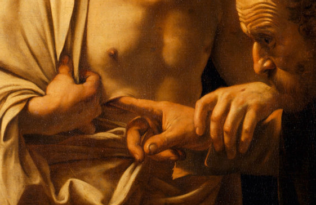 Is the swat of a hand a reminder of protocol or a refusal to perform on someone else’s terms? Reading and writing about the Melanias in ways that reckon with these women as individual agents while simultaneously illuminating the social and discursive networks in which they operate requires tenacity, finesse, and scholarly self-reflection. One of the privileges of editing this book was witnessing my co-authors write with such qualities, unearthing the many Melanias of history and legacy. Many of us have learned (or, speaking for myself, have tried to learn) this kind of scholarship from the woman whose work inspires this volume: Elizabeth A. Clark. Clark was of course President of the North American Patristics Society and a founding editor of its journal, the Journal of Early Christian Studies. 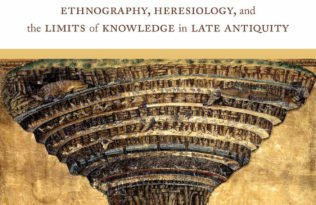 As Randall Styers writes in the afterword to the book, Clark’s scholarship has been “in the vanguard” of the field, “exerting enormous energy, creativity, and methodological innovation as she worked to remake the craft of late ancient history” and religion. (284) Clark, too, is an architect of the field we have become. 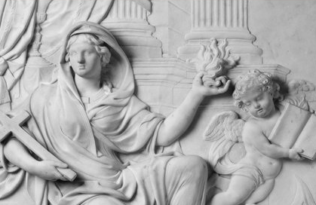 Early Christian studies is now a field that takes seriously theology and history while producing new critical theories of religion and gender, and one that does not shy away from examining its own history and politics. And thus, we are thrilled that Melania, which wrestles with all of these theoretical threads, appears in our Society’s book series. 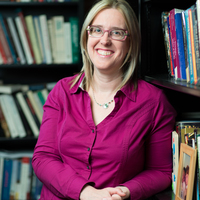 Caroline T. Schroede r is Professor of Religious Studies at the University of the Pacific and author of Monastic Bodies: Discipline and Salvation in Shenoute of Atripe. 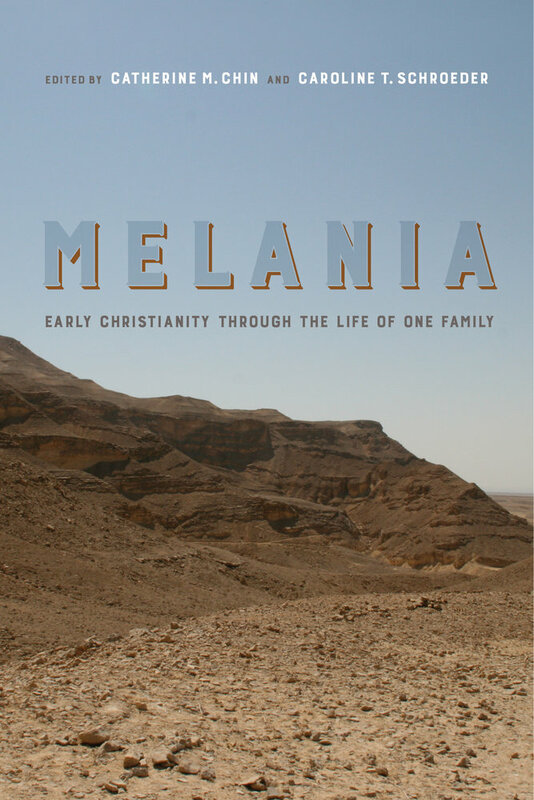 She is co-editor of Melania: Early Christianity through the Life of One Family with Catherine M. Chin, Associate Professor of Classics at the University of California, Davis and author of Grammar and Christianity in the Late Roman World.